Ann Finkbeiner praises a history of an era when research and science education seemed to toe a government line. Ann Finkbeiner is a freelance science writer in Baltimore, Maryland, and author of The Jasons. She blogs at www.lastwordonnothing.com. In the late 1950s, students in a Hong Kong school were dissecting local earthworms and labelling the parts to match diagrams in a British textbook — even though the worms in Britain and Hong Kong were anatomically different. Watching the children, US herpetologist and educator Arnold Grobman noted that they were being directed to follow the textbook over their own observations. The students’ reliance on authority was not what worried Grobman. The real danger, he said, is that this choice “left the students vulnerable to the influence of Communism”. So begins science historian Audra Wolfe’s Freedom’s Laboratory, a study of how the United States won the cold war partly by embracing and promoting ideals embraced by science itself. Today, equating unquestioning trust in authority with vulnerability to Communism sounds overwrought. But at the time, the tense stand-off between the Soviet Union and the United States (which ran roughly from 1947 to 1989) was ramping up. Almost simultaneously with the start of the cold war, the Soviet Communist Party endorsed a pseudoscientific stance: Lysenkoism, the political campaign to reject Mendelian genetics, headed by agronomist Trofim Lysenko. Stocks of Drosophila fruit flies for research were destroyed, and Soviet geneticists were fired, imprisoned, exiled or executed. One US countermeasure against Communism, as Wolfe shows, was to present democracy as a bastion of scientific freedom for nations aligned against a totalitarian state. This message fitted the ideals of scientists and scientific institutions, so they went along with it. Scientists are ideally driven by curiosity and logic, not politics. But politics, writes Wolfe, were crucial to how the US government “constructed and maintained” the equation of science with freedom. This politicization took advantage of scientists’ habits of international collaboration. In the early 1950s, the US government, in particular the Department of State and the CIA, tried using independent scientists as attachés — actually, spies. This mirrored Soviet practice. (I recall old US physicists’ stories of visiting Soviet scientists announcing that they needed to take photos of, say, local military depots.) As Wolfe shows, however, the US scientist-spies proved ineffective. Meanwhile, the State Department, CIA and National Academy of Sciences sponsored international conferences and travel to promote scientific freedom. The US government also used the international Pugwash organization, a group of nuclear scientists who promoted disarmament, to demonstrate the virtues of independent Western science. Another avenue for politicizing science was education. In the early 1960s, the CIA, through a wide-ranging Asian–American partnership called the Asia Foundation, supported the high-school Biological Sciences Curriculum Study (BSCS). This taught pupils to ask their own questions, make their own observations and come to their own conclusions. Translations of the BSCS were promoted internationally and ultimately used in 35 countries. “Lysenko’s name is never stated explicitly in these texts,” writes Wolfe, but the “emphasis on rejecting received knowledge” is implicit throughout. In 1967, the CIA’s involvement in “youth groups, organized labor, cultural organizations, and private foundations” such as the Asia Foundation became public. Amid uproar, the administration of US president Lyndon B. Johnson announced the end of covert CIA support of private institutions. Some scientists were chagrined by what they saw as a cynical use of science in propaganda. The programmes, dubbed “CIA orphans”, could not be overtly re-funded by the government or foundations. So the government looked for 100 “private voluntary organizations that ‘did the kind of work’” the orphans had done. The Asia Foundation ended up being funded by the State Department. 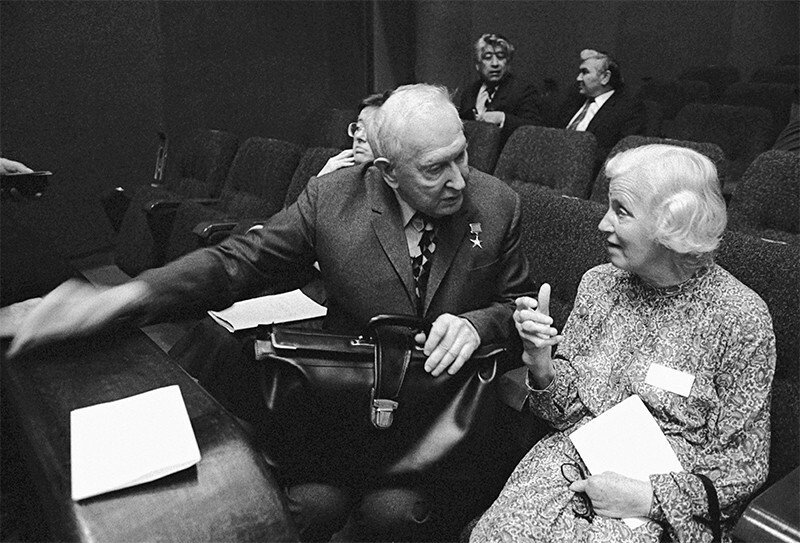 With covert shenanigans suspended and the US government out of the “hearts and minds” business, the focus of the conflict between free and state-approved science moved to Soviet dissident scientists, including nuclear physicist Andrei Sakharov, who campaigned for human rights and was later arrested. Now scientists on both sides were acting not as agents of states, but as individuals — writing letters, raising funds, boycotting, signing petitions, lobbying, protesting. 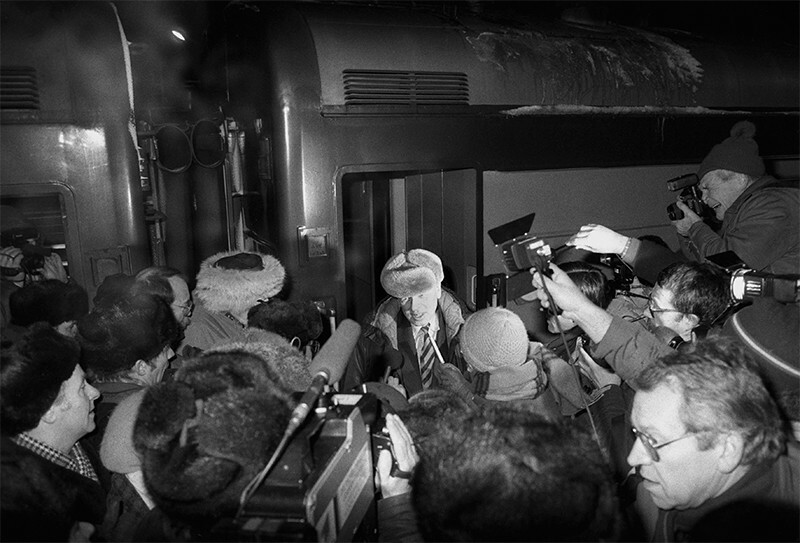 “By 1980,” Wolfe writes, “there was only one ‘science’ and it looked remarkably like the vision advanced by the West.” Sakharov was freed in 1986, the Soviet Union collapsed in 1991, and the cold war was over for good. How, in hindsight, to assess this history? Were the scientists who worked knowingly or unknowingly with the government either collaborators or dupes? Cold-war history, Wolfe writes, is not a heroes-and-villains narrative: it must be told in “shades of gray”. The government used scientists’ ideals for its own political reasons. And the scientists, who saw themselves as apolitical, used the government’s political messages and support to question, observe, conclude, write and speak — freely and in accord with their ideals.